Full Prepayment Non-Refundable Rate. Including Breakfast. 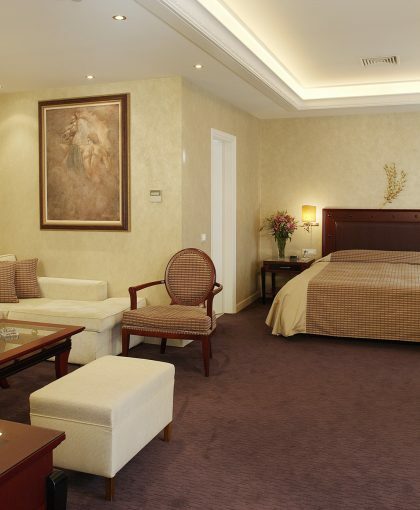 The Theoxenia House Two-bedroom Deluxe Suite is the most luxurious suite in Kifissia and among the best in Athens. Located on the upper floor of the landmark neoclassical building with two bedrooms, two bathrooms, a spacious living room, a dining area and high ceilings, it offers 100 sqm of space. 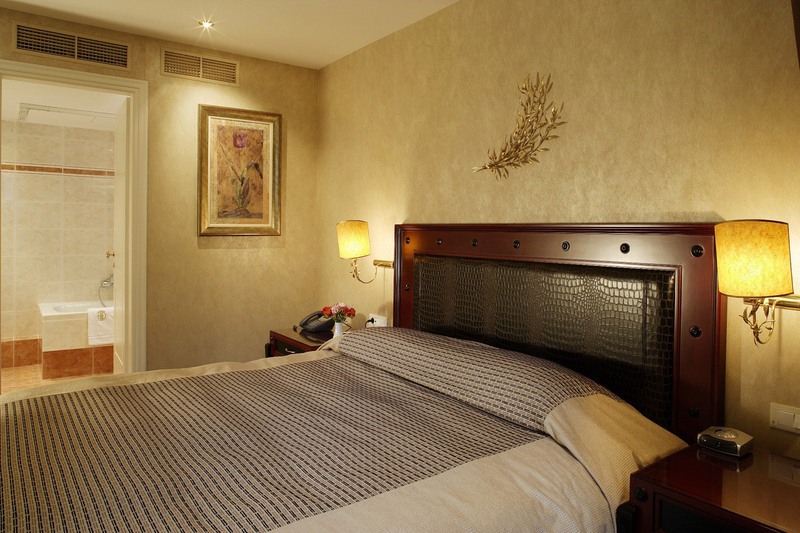 The suite is filled with soft hues of warm earthly colors, refined woodwork , sumptuous fabrics, elegant furnishings and luxury bedding. 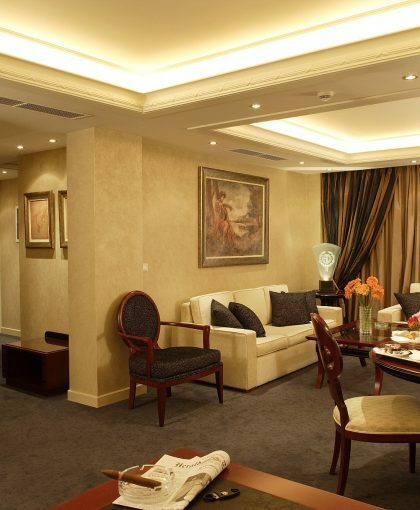 Staying at the Two-Bedroom Deluxe Suite of Theoxenia House, a synonym for elegance and perfection, you will be indulged in a unique experience combining elements of luxury and a warm and inviting atmosphere that wishes to win the hearts of those who stay there. 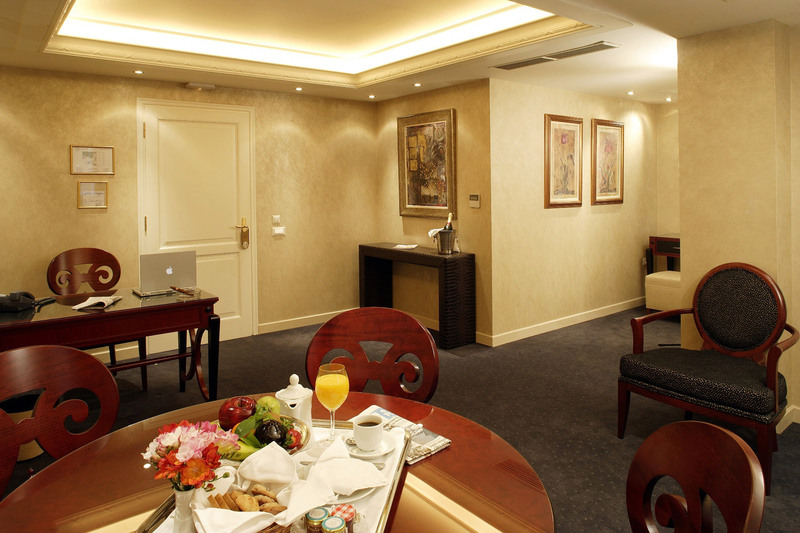 The suite is further enhanced by the latest in-room entertainment systems, such as 40-inch High Definition TV with Internet and Youtube access, USB connectivity for movies and Mp3 music playback, DVD player and in-room Satellite TV receiver with a variety of International channels. 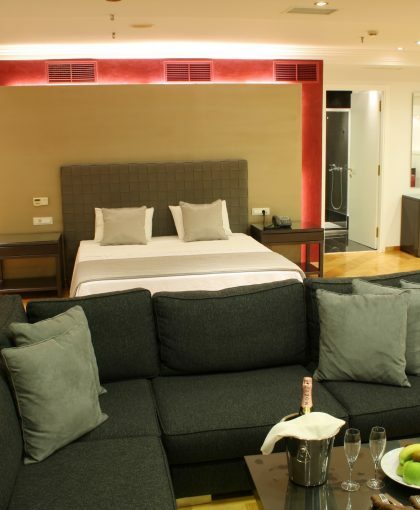 The Theoxenia House, a proud member of “Small Luxury Hotels of the World”, is a boutique suite-only hotel located in the stylish suburb of Kifissia in the Northern Suburbs of Athens. 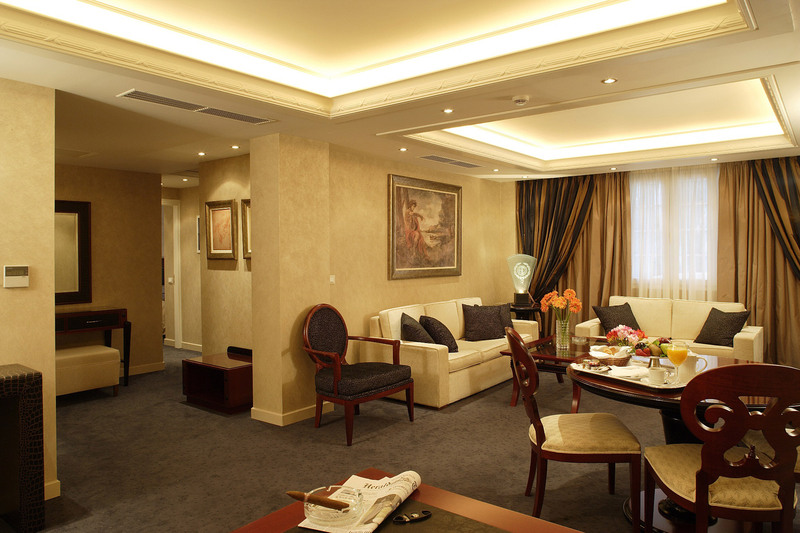 It features spacious, lavishly decorated suites designed to satisfy the most demanding guests that wish to experience the utmost in luxury. Theoxenia House is perfect for short or extended stays offering a unique feeling of lavish living and the coziness of being at home.